Venezuela is open to signing new defence industry contracts with Russia, military attache of the Bolivarian Republic's embassy in Moscow Jose Rafael Torrealba Perez stated. "There is such an opportunity with Russia, there is an opportunity with other countries too", he told reporters. 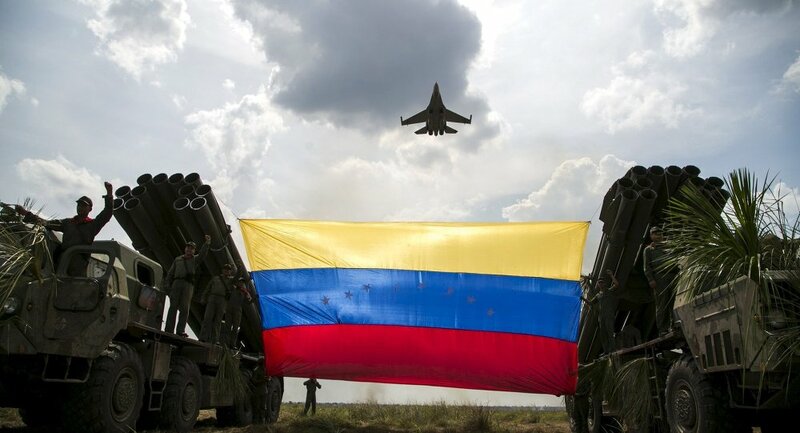 The military attache of Venezuela's Embassy in Moscow continued on by saying that Russian military experts are in Venezuela to develop defence industry cooperation, there is no talk of Russia's military presence in the country. "As for the presence of Russian specialists, we are talking about cooperation, defence industry cooperation. And in no way are we talking about Russia's military presence to conduct military operations", he said. The statements come after some 100 Russian military staff arrived on 23 March in Caracas on board two planes, which also delivered 35 tonnes of cargo. According to the Foreign Ministry, Russian experts are implementing bilateral defence agreements and delivered a batch of humanitarian aid to Venezuela. The US has immediately condemned the move, with Trump stressing that Russia "needed to get out" of Venezuela. Before that, US Secretary of State Mike Pompeo denounced "the continued insertion of Russian military personnel" in Venezuela in phone talks with Russian Foreign Minister Sergei Lavrov. The arrival of the Russian experts comes amid a growing crisis in the Latin American country, which began in January when opposition leader Juan Guaido proclaimed himself Venezuela's interim president, contesting the re-election of Venezuelan President Nicolas Maduro last year. He has received full support on the part of the United States, which has also called on Maduro to step down, and seized billions of dollars' worth of Venezuela's oil assets. Maduro, in turn, has blamed the United States for trying to organise a coup in order to install Guaido as a puppet leader obligated to Washington. Russia, China, Cuba, Bolivia, Turkey and a number of other countries have supported Maduro as the only legitimate president of Venezuela.